Seemingly, David Warner is going through a very tough phase of his cricketing career. David Warner, after the charges of ball-tampering were proved to be true against him, has had difficult times. 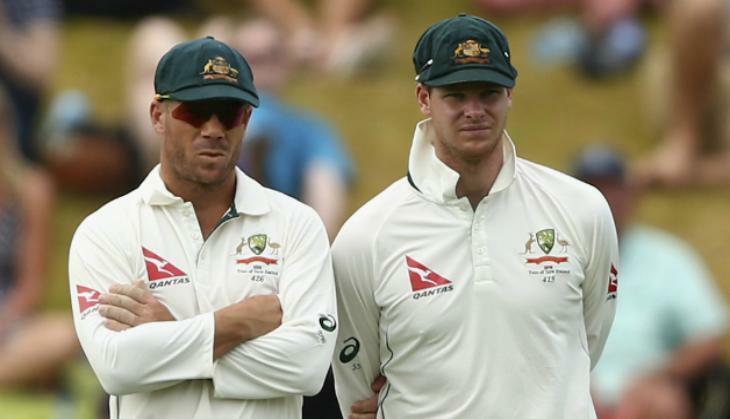 He has been banned for a year by Cricket Australia following the tampering scandal. Moreover, Warner has also been banned from the IPL 2018 by the BCCI for his involvement in the ball-tampering fiasco. David Warner was appointed the captain of the Sunrisers Hyderabad team but now has been replaced by New Zealand skipper Kane Williamson. Apparently, David Warner is missing the IPL very much. Sunrisers Hyderabad's vice-captain and seamer Bhuvaneshwar was recently recording a video for the official Instagram account of the team. While Bhuvi was doing this, David Warner sent a message to Bhuvi saying 'Hi Bhuvi'. Notably, David Warner had to resign from the team after his name surfaced in the ball-tampering scandal. Whereas warner's fans started messaging him as soon warner sent a message. They all expressed as to how much they were missing David in the IPL.